We aim to make screening accessible and inclusive for all eligible populations. For example, individuals registered as male may not be called for female specific cervical and breast screening, even though they might benefit from it. We have therefore developed a new public information leaflet for trans and non-binary individuals. It explains who we invite for breast screening, bowel cancer screening, cervical screening and abdominal aortic aneurysm screening. It includes important information about all 4 screening processes and how to access additional support and advice. The leaflet is based on original work undertaken by Public Health Wales (Screening Division) in 2014. 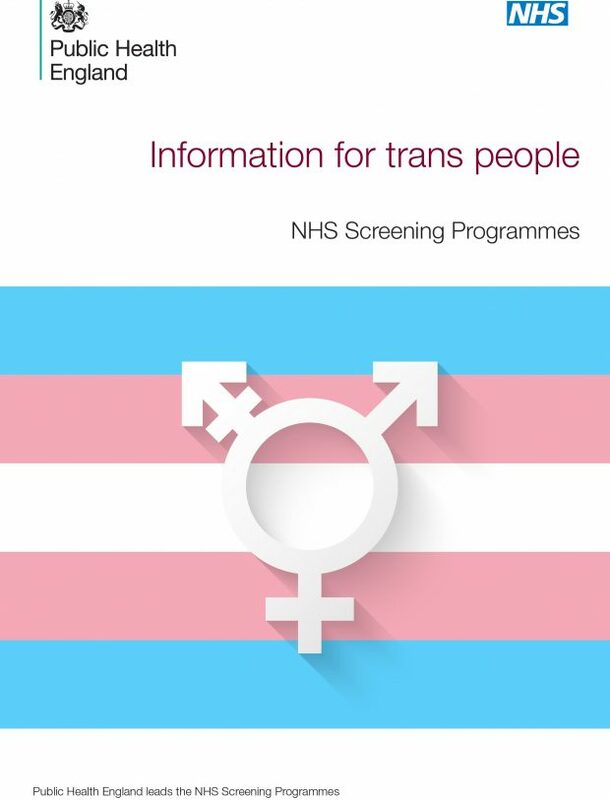 We developed it in consultation with NHS Choices and are very grateful for the feedback we received from representatives of the transgender community, including Michael Toze (transgender conduit), and Harri Weeks, of the National LGB&T Partnership. You can download and print off the leaflet from GOV.UK as required. We will also be doing a small print run to send hard copies to specialist clinics and support groups. Could you represent patient and public views on screening?